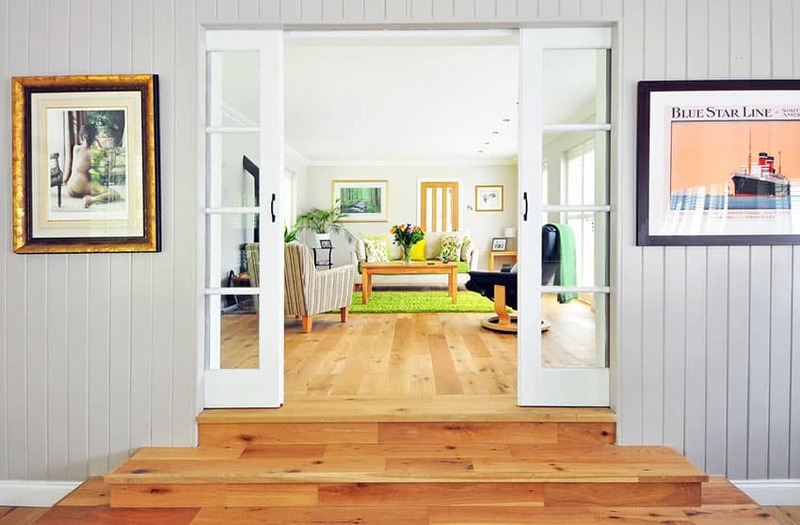 If you have hardwood flooring it is pretty common to want to know how to remove scuff marks from wood floors. While wood floors are beautiful and can increase a home’s value they do require careful maintenance to retain their appearance. Luckily home owners have a number of low cost ways to eliminate scuffs without spending a lot of time or money. For those wanting to fix scratches in wood floors there are many products to fill and conceal those that are difficult to remove. – Eraser – this can be done using the regular eraser of the pencil however there are also special hard-rubber erasers available which are designed to clean the floor especially that they are able to work best on the marks. As a caution, this can result to dulling of the protective finishes if it is done with repetitive use. – WD – 40 type product – this is a safe cleaner for scuff marks and it comes in handy. It aids in giving the wood some shine. It can work best in removing light scuff marks. You will only need a tiny squirt of it to remove the scuff mark without even having to scrape or remove the lacquer finish. Keep in mind that you need to clean it up thoroughly following its use because it can make the floor slippery. – Rubber soled shoe – this is a tricky thing to do especially when you are in a hurry and then you do not have an eraser. You can just put on your rubber soled shoes and then twist one of them over the scuff mark. Be sure that you will avoid to use black, rubber soled shoes when doing this trick on light wood finishes. – Toothpaste or baking soda – these two are the mildest abrasives that exist. All you need to do is to use a clean and damp cloth or an old toothbrush that is moistened. You are going to apply them to the mark by gently rubbing with the wood’s grain. You should take note that the toothpaste and baking soda may leave a chalky residue if the wood is pitted or scratched. This residue can be difficult to remove. – House cleaning eraser pad – These household eraser pads are used as per the instruction of the manufacturer, you will have to use this by rubbing the scuff mark with the wood’s grain. Be cautious that these new style cleaners may usually appear smooth as well as safe however it can lead to dull surfaces, and that includes the wood, when it is being used repeatedly. Avoid using any eraser product that requires using water as this can damage your wood floors. – Fine steel wool – this is usually used on dark wood that has very stubborn marks. The finest steel wool is being utilized and that is #000 or #0000. As a caution, this can lead to dulling and can abrade the wood. You may take into consideration of trying to coat the wool in a waxing solution prior to starting in waxing the floor. – Mineral spirits (naptha) – with the use of a clean cloth, gently wipe off the scuff marks. You should use this with caution because it is a caustic and flammable substance. – Tennis balls – you can make use of an old tennis ball but make sure that it is clean. Using a sharp knife, cut carefully a 1/4-inch “X” on the surface of the tennis ball. You can then put the tennis ball over the end of a mop or handle of a broom. With this, you can already firmly scrub with gentle the scuff mark using the tennis ball covered handle. Removing the majority of wood scuff marks can be corrected with one of the above methods. However, for deeper scratches and grooves you may need a hardwood wax filler and touch up kit. Visit this page for top selling products for wood scratch removal.